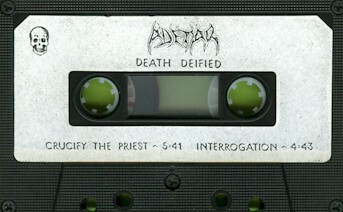 Enschede based Death Metal band ADETAR issued the demos 'The World Is Damned' in 1991 and 'Death Defied' during 1992. Drummer Marco Kleinnibbelink, a scene veteran of acts such as MERLYN, SYRINX, HIGHWIRE and NO INNER LIMITS, subsequently joined DEAD HEAD and recorded with Progressive Metal band SILENT EDGE. 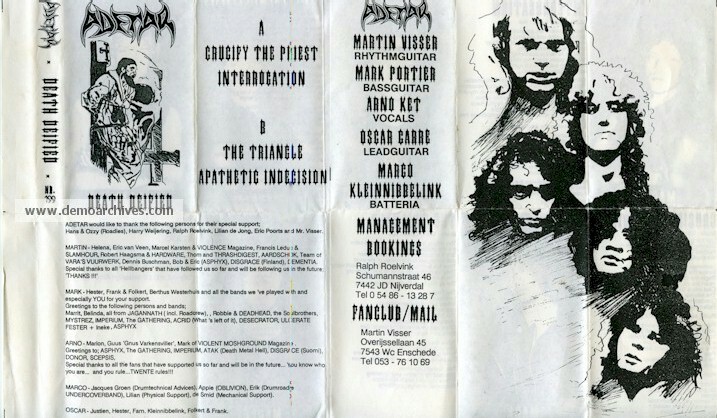 Guitarist Oscar Carre joined GOD DETHRONED. Xeroxed covers which fold out to A4 size. 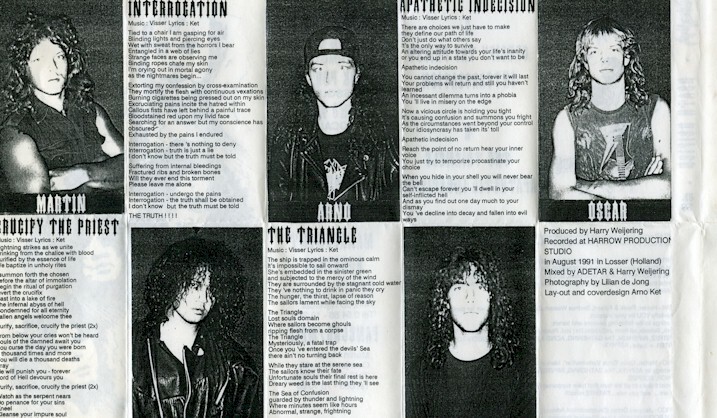 Lyrics on back. Tapes had stickers on the shell.